As a fitness professional I have had the opportunity to use and evaluate a wide range of exercise equipment, training techniques and fitness programs. While many of them produce dramatic physical benefits, most fail to provide total mind-body fitness. Through my studies and observations of kinesiology, physiology, developmental education, (including the magic of watching my own childrens bodies grow), yoga, martial arts, boxing and a number of other training regimens, I realized, long ago, that fitness is much more than body beautiful. Ho-L.I.S.T.-ic fitness is about producing a lean, flexible body that is strong and enduring, a body that will enable you to meet the demands of everyday life and enjoy the benefits of good physical health. It is also about developing a positive mental attitude that is confident, aware, focused and stable. At the intersection of these attributes lies true fitness. Pilates Box - loaded lunge and strike. The L.I.S.T. Balance System represents the culmination of my work as an instructor, student and athletic competitor. By combining elements of yoga, Pilates and the fundamental principles of biomechanics with core stabilization and strength training, the L.I.S.T. Balance System is designed to integrate, synchronize and increase whole-body function while producing a vigorous mental attitude. 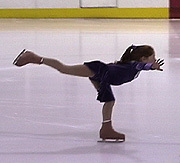 Core-dinator - finish position of rotation with lateral weight transfer. 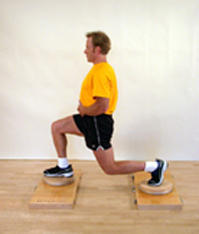 Improves timing and strength decreasing the likelihood of injury. Developing a sound relationship between mind and body is essential for optimal fitness. As your training advances and you master the intellectual complexities and physical challenges of balance, you will feel the dramatic difference that a highly conditioned neuromuscular system gives you. Pilates Box - basic yoga position. Builds stronger lines. This exercise is a form of the Utthita Trikonasana or extended triangle pose modified specifically for the Pilates Box. Core-dinator (split platform) - friction free rotational base split squat. 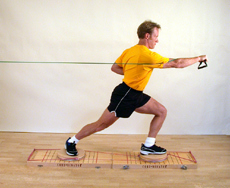 Challenges hip stabilizers in stride pattern. The ultimate training model is the natural developmental process that prepares humans for hunting, gathering and competition  survival! Born of time and repetition, as primitive as the first of mankind, the natural development of a normal healthy child is clearly worthy of consideration when developing a systematic exercise program. The concepts of phasic training and/or periodization (i.e., the gradual cycling of intensity, complexity and volume of training to achieve optimal physical fitness) have been around as long as athletic competition. In fact, these concepts actually date back to the first Masters of the Physical Arts. However, in recent times, as fitness in Western culture has developed, the practice of progressive exercise systems has been the missing ingredient in mainstream fitness facilities (i.e., commercial gyms and local health clubs). Only recently has progressive exercise, outside of traditional physical arts studios and elite athletic training facilities, become popular. 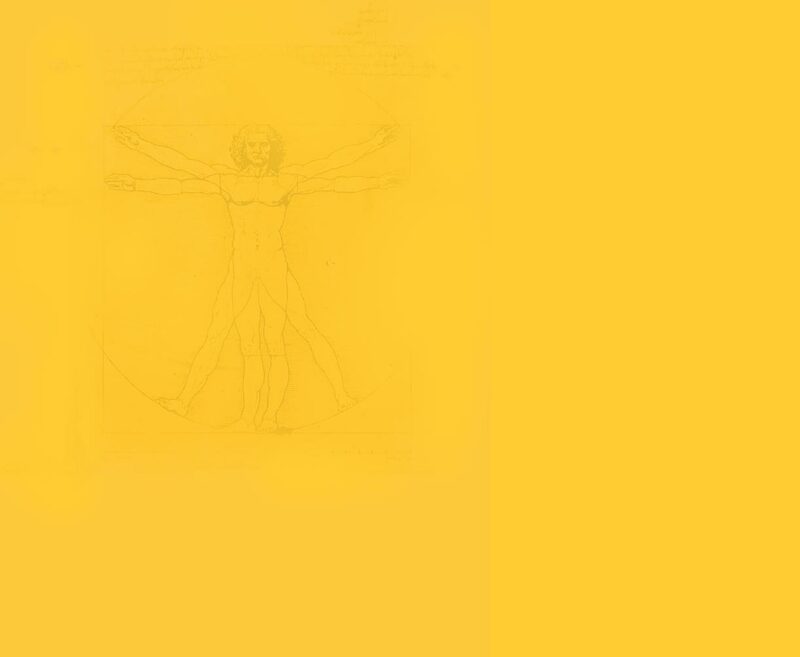 A system that follows the basic principles of progression (i.e., static to dynamic, slow to fast, stable to unstable, simple to complex, isolation to integration, light to heavy, short to long and low to high) would do well to consider the only system of progression that has been perfected through the generations. For tens of thousands of years, imperfections, inconsistencies and deviations have been filtered out, leaving only the essentials. These essentials can be seen in the normal development of any child. From a babys first discovery of fingers and toes, to full interaction with the environment, it is plain to see the normal developmental process, from crawling to running, is consistent with the goals of a complete and comprehensive training system. Understanding this point and studying multiple athletic forms and eastern disciplines, made observing my own children's development especially rewarding and certainly more aware of the age-old adage, art imitates life. The natural developmental process of a human child is replicated in many physical art forms and in some cases, I am sure, it is the foundation for the system. The similarities between practice (systematic, progressive exercise disciplines/systems) and perfection (evolution/ nature/creation) are consistent and universal.